Imitation tortoiseshell montures and trimmed ostrich feathers. Such fans were sold all over the Middle East in 'curio' shops; the feathers likely from South Africa. 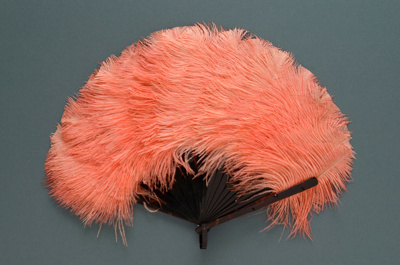 This example is made from dyed salmon feathers with a moulded front guard made to look like ostrich skin.